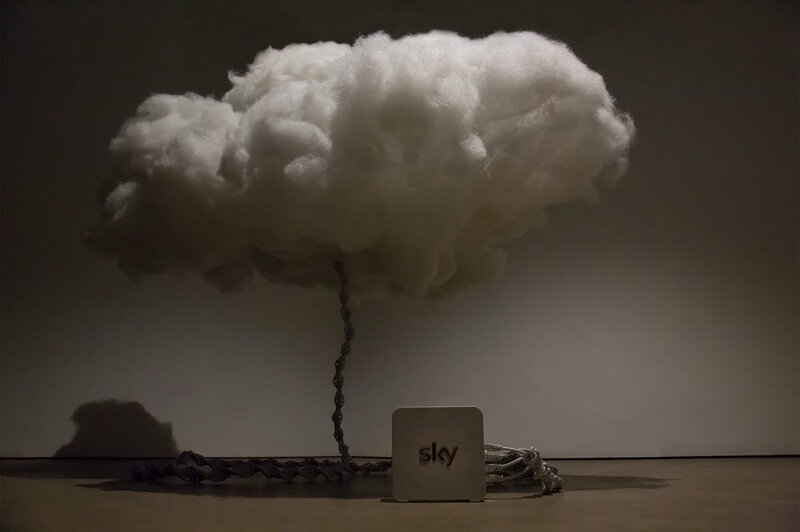 The Cloud, 2018, installation view. Paper lanterns, stuffing, LED lights, ethernet cables, unsecured WiFi network (SKY router). The cloud is connectable in the dark.